People ask us all the time, “What’s the most common thing you all see here for rehab?” At SSOR, we see people throughout the lifespan and throughout the spectrum of activity levels and outcome expectations. We have sedentary folks but also professional athletes come through here routinely. Some people have very general, “easy to please” goals while others are very results-oriented with specific goals they want to obtain. So, sometimes we almost need a subset of the top ten, depending on the above factors. To keep it simple though, we’ll just list the 10 things we see most often. If what you have isn’t here, it doesn’t mean we don’t treat it – it’s just not as common. These are in no particular order. 1. Low back pain/Hip pain. We put these together because they often go hand-in-hand. One can cause the other. Lower back pain is something that most Americans deal with at some point in their lives and we see it across the lifespan here. Young athletes, middle aged, and elderly all experience it, but for different reasons. Herniated discs, degenerative disc disease, stenosis, muscle strains – we see it all. Regardless if you have hip or back pain, our approach is heavily emphasized on manual therapy, exercises, and education. 2. Knee pain. There are many reasons for and many structures that can be implicated, but knee pain also affects people across the lifespan. Whether you just have general pain or suffered a traumatic injury, we are astute at treating knee pain. 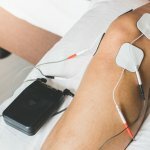 Additionally, we know how to diagnose, treat, and address other areas that may be implicated to help you treat your knee pain. We published an article that talked about this very issue. 3. Shoulder pain. Much like the knee, there are many reasons for shoulder pain and many structures that could be involved. Often, shoulder pain comes from other areas like the neck, or may be due in part to other areas not doing their job, like the thoracic spine. We’re experts at evaluating the shoulder as well as finding out if other areas are part of the problem. 4. Total joint replacement. People lead more active lives and expect to be active later in life. However, that comes at a price and your joints, especially the hip and knee, pay the price. After helping decrease your initial pain and getting you back to your day-to-day activities (because even going to the bathroom is a challenge!) we’ll work to maximize your strength, balance, and function. We’ll also do a lot of manual therapy and soft tissue work to get you feeling good again. We’ve even published on total knee replacement – why go anywhere else? 5. Neck pain. This is quickly becoming the most common thing we see at SSOR. People spend way too much time in front of the computer, texting, driving, sitting in class, and for the youngsters, playing endless hours of video games. For the older patient, degenerative changes lead to pain and dysfunction. Much like lower back pain, our approach is largely focused on manual therapy, exercise, ergonomic and postural education, and activity modification. 6. Sports injuries. This often covers all the other items in this list, but with our expertise in sports physical therapy coupled with the fact that we have the only sports medicine fellowship-trained physical therapist in Kansas City, we are the destination of choice for sports injuries in town. 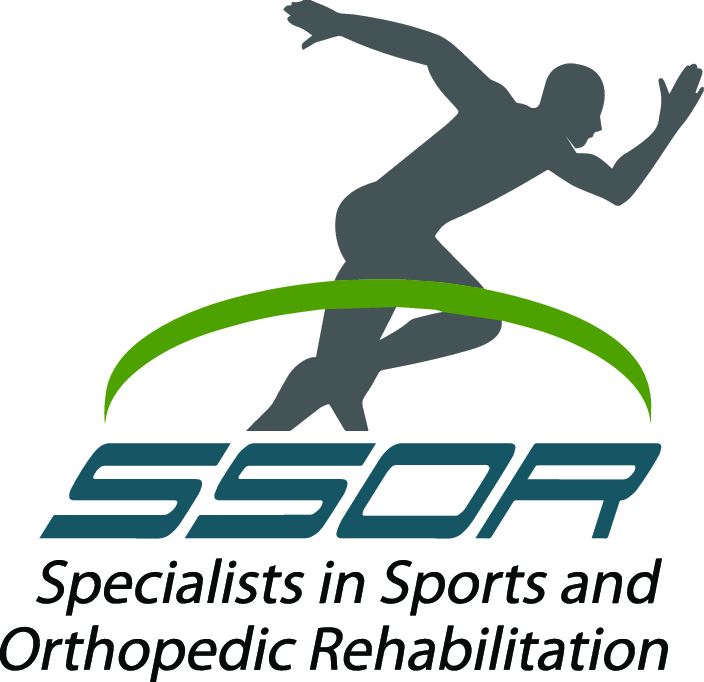 SSOR teaches other PT’s about sports rehab and we present nationally on topics related to sports medicine. We see young athletes, weekend warriors, and professional athletes alike. 7. Tendinitis/tendinopathies. Tennis elbow, Achilles tendinitis, jumper’s knee or patellar tendinitis are just a few of the conditions we see that fall into this category. Our approach is based on a thorough evaluation because many times, these conditions are caused from other areas. We also emphasize stretching, strengthening, and teaching you activity modification so you can still do your activity, but at a level that allows needed healing to take place. Again, we’ve even written articles on how to treat these. 8. Pediatric orthopedic injury. Boy, we love our kiddos here! Kids get hurt mostly from accidents and sports. As a result, we see lots of overuse conditions and fractures. Kids love coming to SSOR because we make PT FUN!! 9. Post-operative conditions. Again, many pains listed above are from surgery – ankle, knee, hip, and shoulder. However, many people have a traumatic injury that necessitates surgery. Rotator cuff repairs, knee scopes, ACL reconstructions are just a sampling. We carefully follow your surgeon’s limits post-operatively and design a program for you within those parameters. Furthermore, we don’t take a recipe approach to treat you post-operatively. Every patient has different goals and interests. We’ll work closely with you to have a specific plan in place. 10. Running injuries. This could be in the sports injury category, but running is almost its own entity because so many people do it and injuries happen in many areas. Furthermore, evaluation of running injuries is very complex. Our approach involves a thorough physical assessment to find the cause and possibly a running analysis to pick up any mechanical faults. After that is completed, we put you on a specific exercise program to address the problem. Even if you had physical therapy before with limited or no success, we are confident that our approach will provide you a refreshing perspective. Remember, in the state of Kansas, you no longer need a physician referral to get physical therapy. Don’t delay any longer, give us a call!